The annual Herb Meyer Cup Regatta was held on San Francisco Bay September 24th and 25th. The Bay Area Association of Disabled Sailors (BAADS) and the South Beach Yacht Club (SBYC) coordinated the annual event again this year. 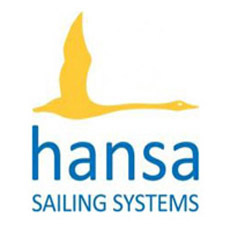 BAADS was the official organizing committee and it was open to all sailors of Hansa classes Liberty, Liberty Servo, 303’s and 2.3’s. This year there were 22 registered sailors and over 40 volunteers from both BAADS and SBYC. The final entries included 13 Liberty’s, 2 servo Liberty’s, and 2 Hansa 303’s. Preparations culminated having the boats prepared and rigged on Friday by a group of dedicated volunteers. Saturday would be the first day of sailing with 5 safety boats helping out. The wind was predicted to be 10 – 15 knots out of the Northeast, (normally the winds are out of the Northwest on SF Bay). The currents were predicted to be 2.0 knots after the tides turned from slack to a flood at the beginning of the races. The SBYC Race Committee started the races on Saturday at about 1:30pm after the winds picked up. There were a total of three exciting races in the 10-15 knot winds with the colorful Liberty’s and 303’s healing and the City of San Francisco providing a splendid view in the background. The winds stayed steady throughout the day testing the skills of the sailors. 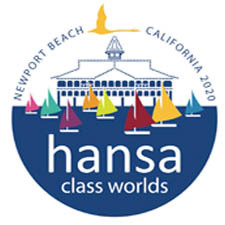 Day two of the event was disappointingly cancelled due to lack of wind (1-2 knots) and record high temperatures in the San Francisco Bay Area. The results of the races on Saturday were to become the final results for the regatta. John Greener, a long time BAADS member, took first place after three races. Jim Thweatt came in second and Dylan Young came in third for the Liberty Class. Jeff Breen and Kevin Siemans came in first and Danial Margulies and Megan Colonel came in second in the 303 class. Thank you to all the sailors and volunteers from both BAADS and SBYC that helped make this year’s event a big success! Photo by Milt Smith, SBYC.